NiMH Mignon 1,2V "ready to use" AA battery. This new battery technology combines the benefits of a primary (non-rechargeable) battery with the benefits of a secondary (rechargeable) battery. 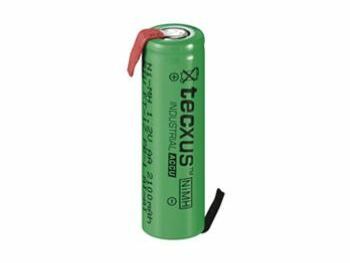 These batteries are thus fully charged at the time of delivery and are characterized by a very flat self-discharge curve (like alkaline batteries). After 12 months, the battery still has a capacity of more than 80%.